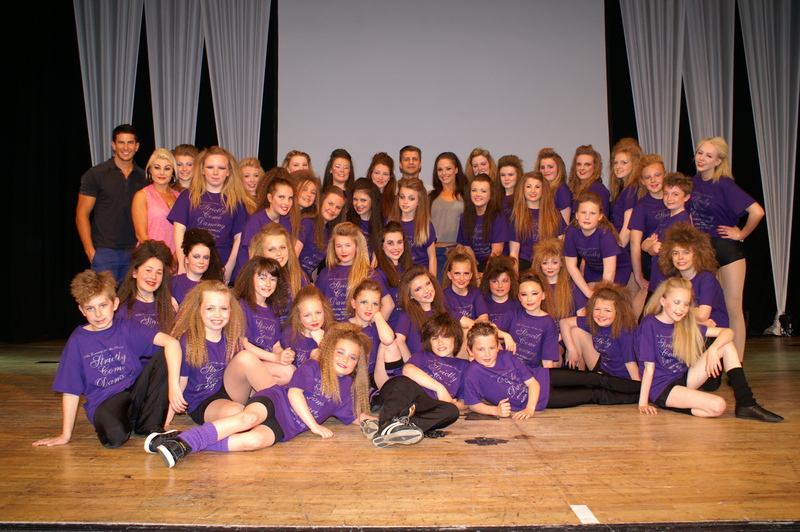 Pupils and teachers from the Lisa Jay Stage Institute had double reason to celebrate their performance with Katya Virshilas and Pasha Kovalev on Sunday 5th May. For the second year running, fifty pupils aged nine years and above were recently chosen to appear alongside two of the biggest stars to come out of Strictly Come Dancing; Katya Virshilas and Pasha Kovalev. Before the performance which took place at the Embassy Theatre, the pupils were invited on to the stage to meet the stars and were presented with signed T-shirts. In a unique twist the pupils and staff from the Institute presented Katya and Pasha with an exclusive ‘Skool Run’ show T-shirt signed by all the pupils and teachers. “Katya and Pasha were quite surprised when they realized we had taken the time to arrange our gift to them”, commented Institute Principal Lisa Jay. “I explained that we offer free classes to underprivileged children and how we run a successful special needs program. Pasha commented on our open mindedness and generosity, so much so that he can’t wait to share the stage with us once more! We can’t wait either!” Lisa added. 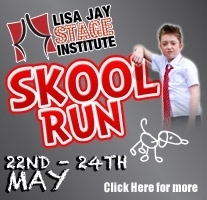 The school is preparing for its bi-annual show “Skool Run” to be performed at the Embassy Theatre next week on May 22nd, 23rd, and 24th. Pupils from the Lisa Jay Stage Institute will once again be taking part in this year’s SO festival and the “Tapathon” as part of Children in Need. So, there really is plenty to dance, sing and smile about at the Lisa Jay Stage Institute, as is evident on our pupils’ faces.